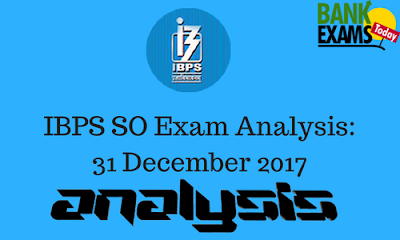 The first shift of IBPS SO Prelims Exam 2017 which is held on today is over now. This year, for the 1st time IBPS has conducted the Prelims exams for Specialist Officers exam. As per the information that we gained from the students, the exam pattern was same as yesterday's exam. This exam was basically cover three topics: English, Reasoning and General Awareness.